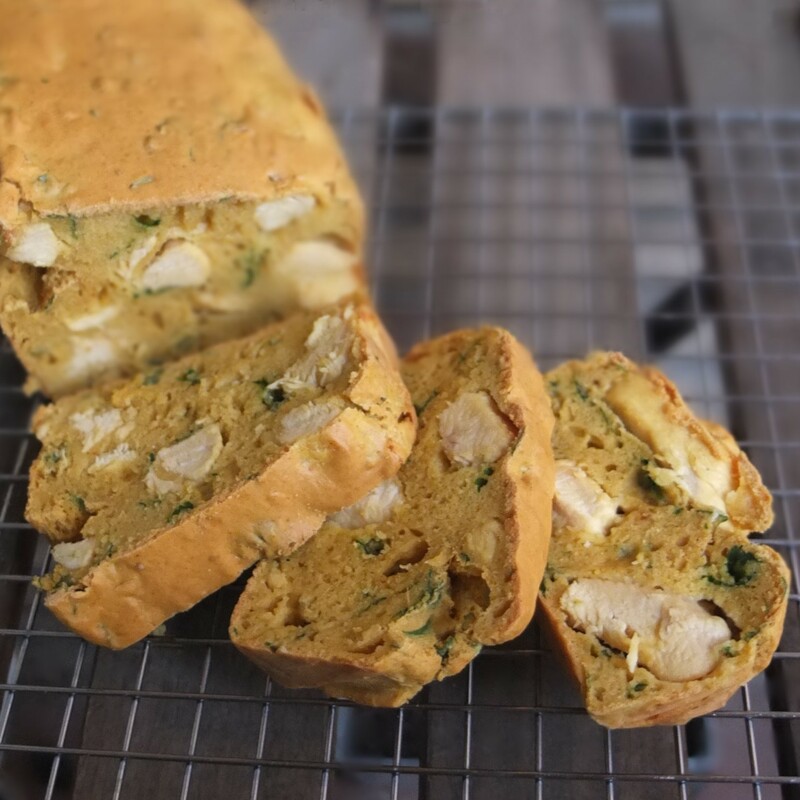 Chicken curry and coriander savoury loaf recipe! And Paris Cake Tour no.4! It’s a really easy cake to make and however it comes out it’s super tasty. Some earlier prototypes were darker (with a little more curry powder) and delicious too. The recipe here’s based on the ‘cake au poulet, curry et coriandre’ in the French Tranche de Cake book. 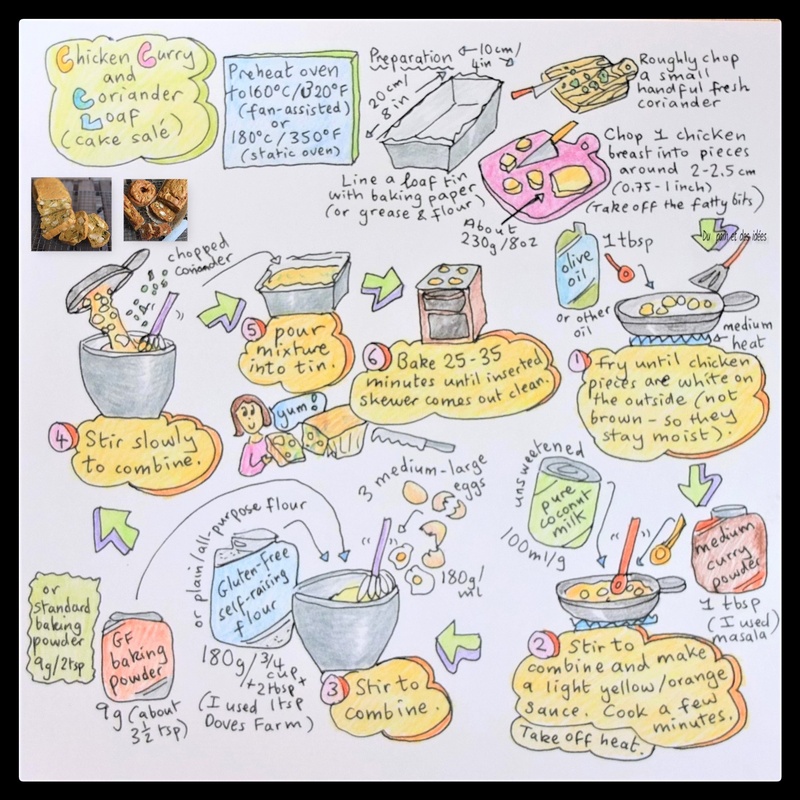 I’ve adapted it slightly by adding a little oil and made it gluten-free by using my usual Doves Farm self-raising glutenfree flour but you can use standard all-purpose flour as in the original recipe. This cake is delicious fresh from the oven or warm. It’s also lovely later and the day after, stored in airtight tupperware in the fridge. It freezes very well (wrap separate slices tightly in plastic film). So handy. 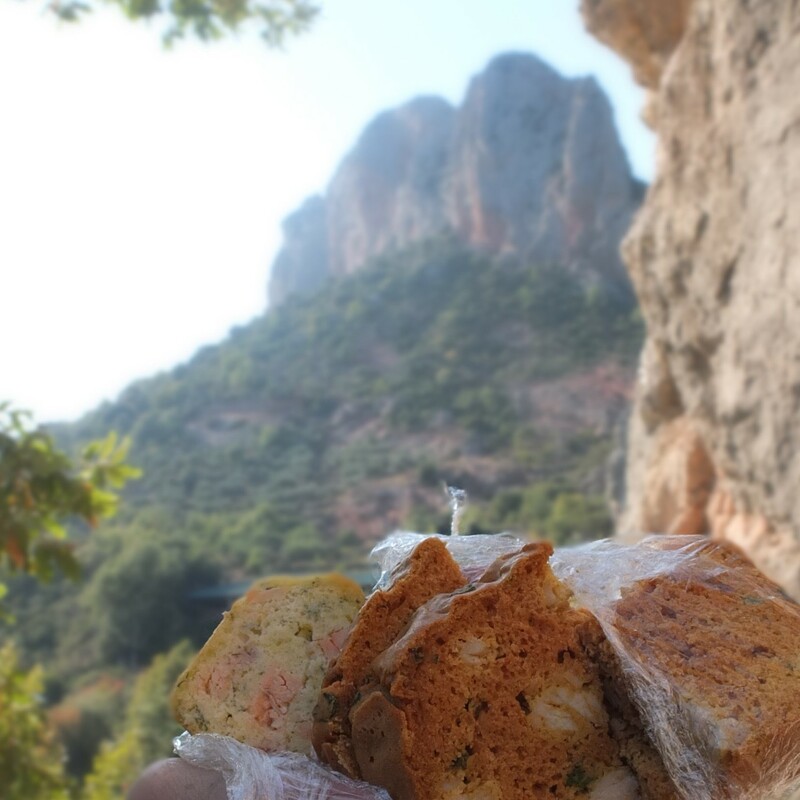 Even to take hiking or rock-climbing! The other slices of cake are salmon, redcurrant and dill by the way. If you go to Paris you’ll see some lovely loaf cakes on show and loads of other wonderful treats. 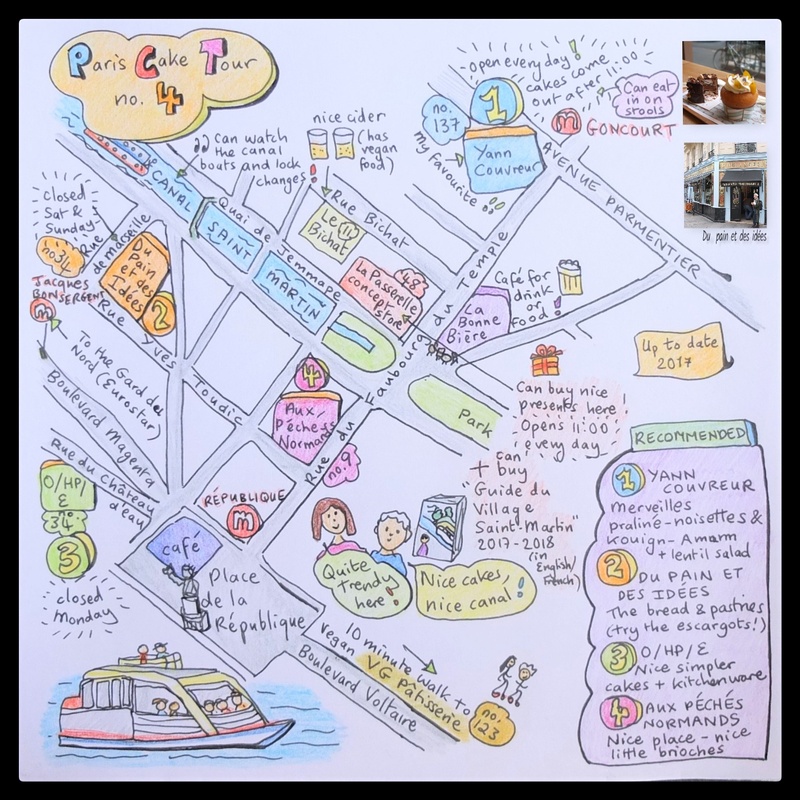 This cake tour takes you to the trendy Canal Saint Martin area. You can have a lovely walk along the canal and also eat some delicious pâtisserie! And if you can’t make it to Paris, Yann Couvreur has an amazing French recipe book la pâtisserie he just published so you could make your own! By the way, Paris cake tour no.3 is coming in the next post because it goes better with the content there!! 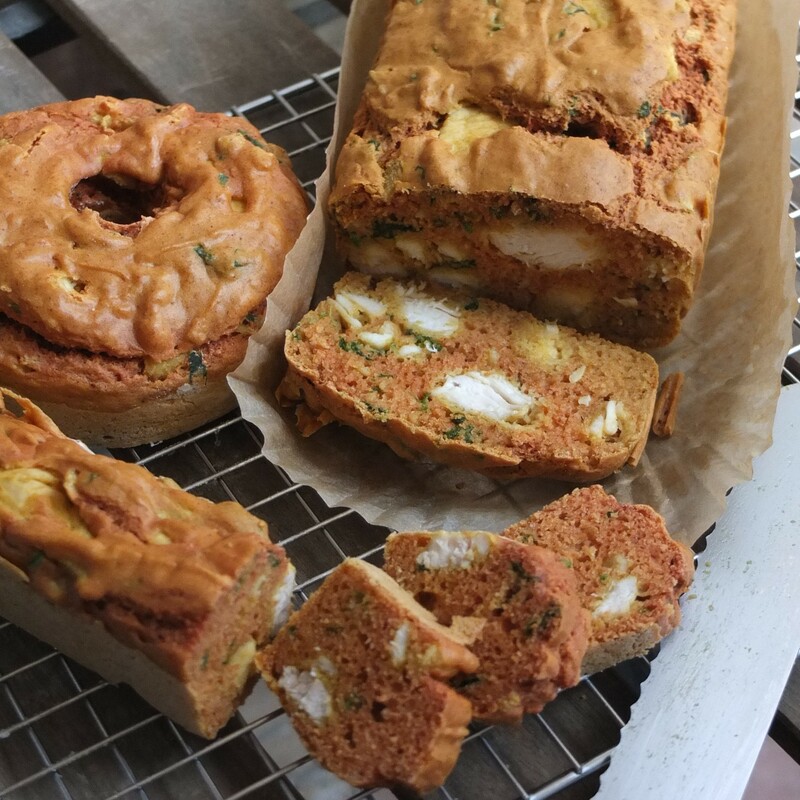 In fact I need to work on that post now because there’s a deadline… so I’ll leave you with slices of this amazingly tasty chicken curry and coriander loaf! My taste buds have just had lunch, dear Lili or I wouldn’t be reading your post. This looks like an easy bake. I’m going to try it. If I don’t want to make it gluten free, can I use the same amount of flour? Will do, Lili. Always love your posts. 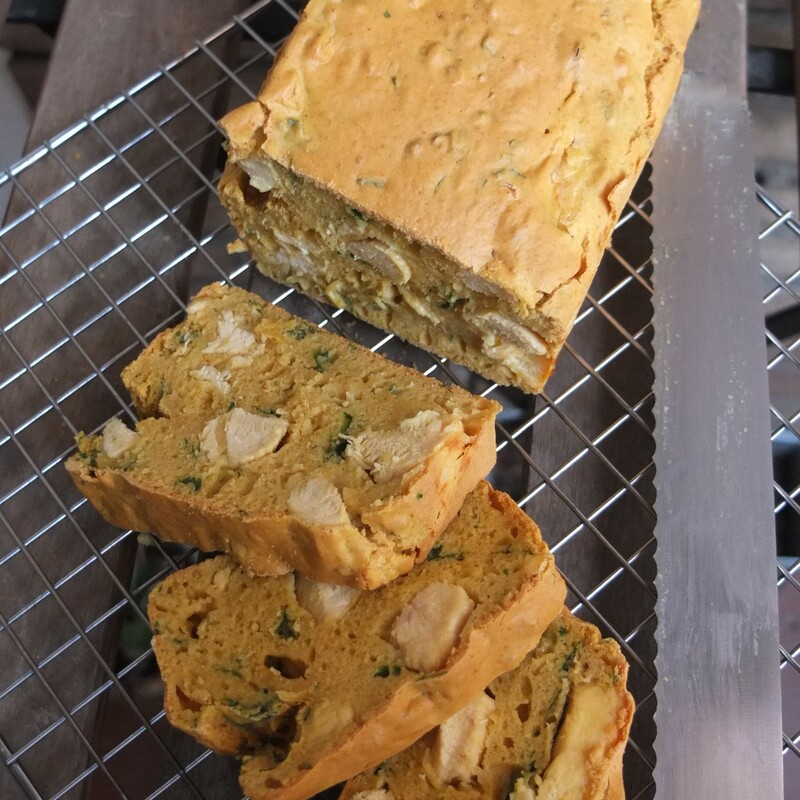 I would love to bake a vegetarian savory loaf, thanks for the inspiration !! Never in my life have I seen such a thing–what a great idea! Cake: It’s not just for breakfast anymore! Oooh nice and yummy! 😍 Would be great if you let me know how that goes.